the Problem | Stop Asian Carp! Minnesota’s famed sky blue waters are facing an enormous threat from Invasive Asian carp making their way up the Mississippi River. With more than 10,000 lakes and 92,000 miles of rivers and streams, Minnesota waterways support a $2.4 billion a year fishing industry, which also supports 35,400 Minnesota jobs (Source: 2011 U.S. Fish and Wildlife Survey). Clean water and healthy ecosystems are critical to a strong tourism economy. 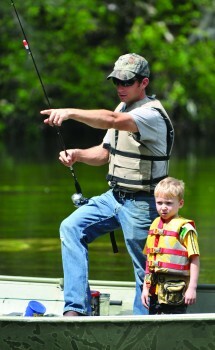 Outdoor recreation, including boating, camping, fishing and paddling, is essential to the Minnesota way of life. Invasive Asian carp include four individual carp species—bighead, black, grass and silver carp that were imported to the southern U.S. from China to control snails and other small organisms in fish farms. When some of them escaped into the Mississippi River and its tributaries, their populations grew quickly causing major disruption of native aquatic ecosystems. In the Illinois River, where the infestation is extreme, 90% of the river’s biomass is now Invasive Asian carp. Invasive Asian carp are large fish, some reaching more than 100 pounds, with large appetites for copious amounts of plankton and other small organisms. These voracious feeders quickly consume the small biomass in rivers and lakes, toppling the ecosystem food pyramid and out-competing native fish species. Black carp feed on snails and other mollusks, presenting a dangerous threat to Minnesota’s healthy native mussel populations. Dramatic changes to the Mississippi River ecosystem could also impact migratory birds and other wildlife that depend on the diversity of aquatic species in the river and its floodplain. If we don’t protect ourselves, this could be the future of our Minnesota waterways: a 111 pound black carp caught recently in Lake of the Ozarks, Missouri. (Credit: Mississippi Interstate Cooperative Resource Association). In addition to the serious ecological threats posed by the Invasive Asian carp, they also threaten boating, fishing and other river recreation activities. Silver carp are renowned for their ability to jump as high as 10 feet when startled and have damaged boats and injured boaters in other states. The potential of Invasive Asian carp to discourage boating and displace the prized fisheries of Minnesota will also have serious economic consequences. Greater Minnesota communities depend on a healthy recreation economy, and many communities along the Mississippi River are investing heavily in their riverfronts as a place for people to connect with nature and enjoy parks, local culture and outdoor recreation. 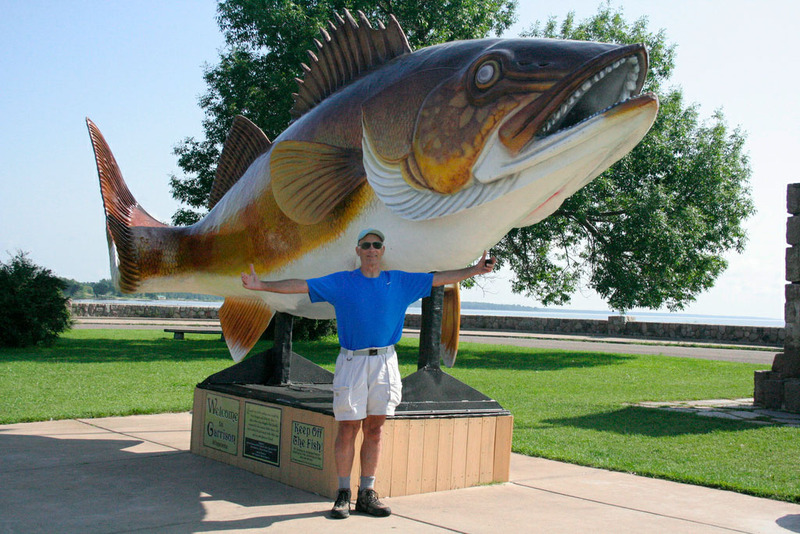 The Mississippi watershed connects countless lakes, including Lake Mille Lacs, home to this “fish” in Garrison, MN. Invasive Asian carp could undermining fishing and tourism through large parts of Minnesota. There is no longer any doubt that Invasive Asian carp have advanced up the Mississippi River into Minnesota’s waterways — exposing new entry points by which these harmful species can further spread into state waters. According to the Minnesota Department of Natural Resources, since 2008, there have been 74 captures of Invasive Asian carp in the Mississippi River in Minnesota. 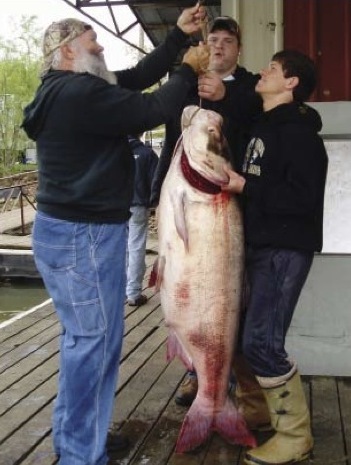 In 2014, there we seven catches total, including two Silver and one Bighead carp in Pool 2 (north of Hastings), with the most northern catch on record near Cottage Grove. While the captured Invasive Asian carp in Minnesota represent “pioneer” fish heading upstream in search of new habitat and are not reproducing yet in Minnesota, we know they are here and moving upstream. The closest reproducing population is north of Lock and Dam #19 in Keokuk, Iowa, which means we still have time to protect Minnesota and Wisconsin from this ecosystem threat.